Mailing equipment and hardware are necessary items for businesses both small and large. 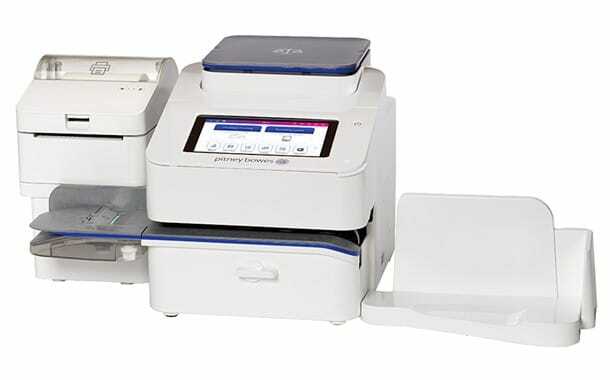 We offer products such as postage meters, folder inserters, address and digital printers, mail processing equipment, and mailing and shipping systems that enable your business to communicate from the first point of contact until the end. Addressing systems from a business that offers mail equipment in Atlanta allows you to print addresses and graphics directly on the envelope. Large capacity machines can print thousands of pieces of mail every hour, which cuts down on postage and labor costs for your organization. A digital printer is an affordable option to create professional documents without outsourcing the responsibility to another company. It can cut down on costs, improve productivity, and enhance efficiency. A folder inserter enables you to stuff envelopes on a mass scale. If you need to issue newsletters or other mass-produced documents, an inserter eliminates the need for your employees to spend hours manually stuffing envelopes. Businesses that receive large volumes of incoming mail can benefit from an automatic mail opener to speed up the process. An automatic system can handle mail in multiple sizes and reduces waste. You can’t send mail if you don’t know how much it weighs. A postal scale is an essential item for any office so you know exactly how much your package costs to ship. You can print labels right from your business and save a trip to the post office. Tired of folding letters, invoices, statements or flyers by hand? Reach Technologies carries letter folding equipment priced for every business. Whether you need a simple unit to sit on your desk or a massive air fed system for a print production facility we have them all and everything in between. Need help deciding,? Call us for options and choose a model based on volume, fold type, paper size, paper type and brand. More and more businesses use the Internet to buy and sell products, and owning a postal scale is becoming a necessity. If you consider that most mailing services give some sort of discount for weighing and paying your own packages, you may to make your money back in the first month of use. Call us to discuss your options. Software to monitor, manage, track and reduce your postal expenses. A tabbing system allows you to send mail without an envelope. It’s an economical and more affordable to seal items such as brochures, documents, and newsletters with an adhesive tab instead of dealing with the hassle and cost of an envelope. Contact us at 800-537-0669 or solutions@reach-technologies.com to purchase mail equipment for your business.